PlacePod is an IoT-enabled smart parking sensor for on-street and off-street public and private parking management. PlacePod solves the most mission-critical aspects of parking management: accurate, real-time vehicle detection and the location of available parking spaces. PlacePod is an in-ground or surface-mounted sensor that communicates with a gateway to provide real-time parking data over a Low Power Wide Area Network (LPWAN). It provides accurate vehicle detection in parking spaces and vehicle counts for parking lot entrances and exits, up to 10 years of battery life, and is stable over temperature fluctuations, even in harsh environments. The PlacePod product line includes high-accuracy Vehicle Detection and Vehicle Counting sensors for a wide range of use cases, including: Smart Parking, Smart City, Parking Guidance, Commercial and Mixed-use Real Estate, and Corporate and University Campuses. The PlacePod Vehicle Counting (VC) sensor is the newest addition to the PlacePod family. PlacePod VC counts vehicles passing through driveways and designated entrances and exits, and the sensors offer greater accuracy than traditional loop counters and infrared sensors. Real-time vehicle count information can be shared with parking guidance systems and variable message signage to improve the accuracy of parking space occupancy information and guide drivers to available spaces. Incorporating real-time parking data from PlacePod smart parking sensors into a parking management strategy can help reduce traffic congestion and carbon emissions, foster economic development and improve urban mobility, and increase parking revenue. Unlike other parking sensors, PlacePod provides continuous vehicle detection without missing a parking event. Capability for wireless configuration and software updates using Bluetooth Low Energy (BLE) via PNI’s mobile iOS and Android applications. Customers can visualize parking data using PNI’s Parking Management Application – a comprehensive dashboard for managing and monitoring all parking resources and data, including installation and verification, diagnostics, monitoring, and reporting. Data can be sent to 3rd-party applications (including IoT platforms, parking enforcement, mobile payment, parking management systems, parking guidance systems). Includes a built-in LoRa® radio that communicates to a gateway or base station with complete Low Power Wide Area Network (LPWAN) compatibility. 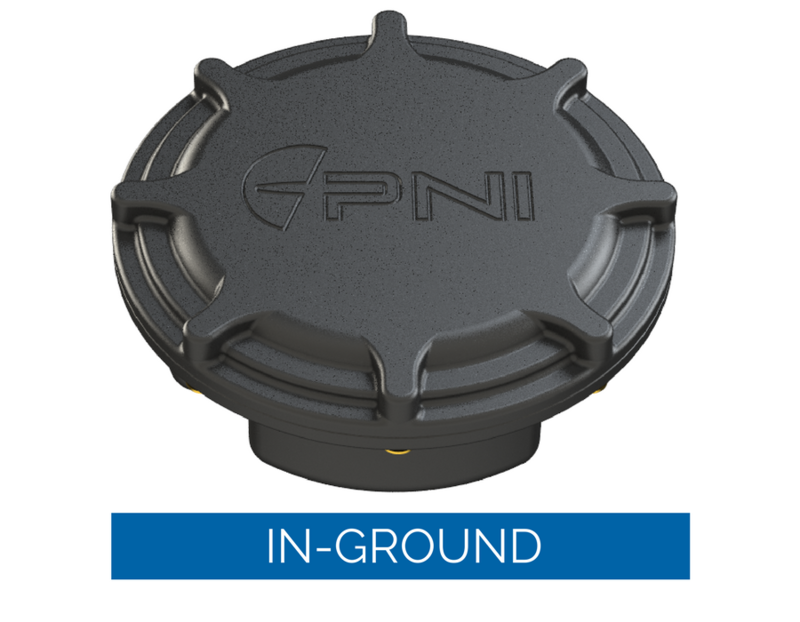 PlacePod smart parking sensors include PNI’s RM3100 geomagnetic sensor, which is the highest-performance magnetic sensor in its class. The RM3100 incorporates proprietary magneto-inductive technology that has more than 30 times the sensitivity of other magnetic sensors and is stable over temperature fluctuations. 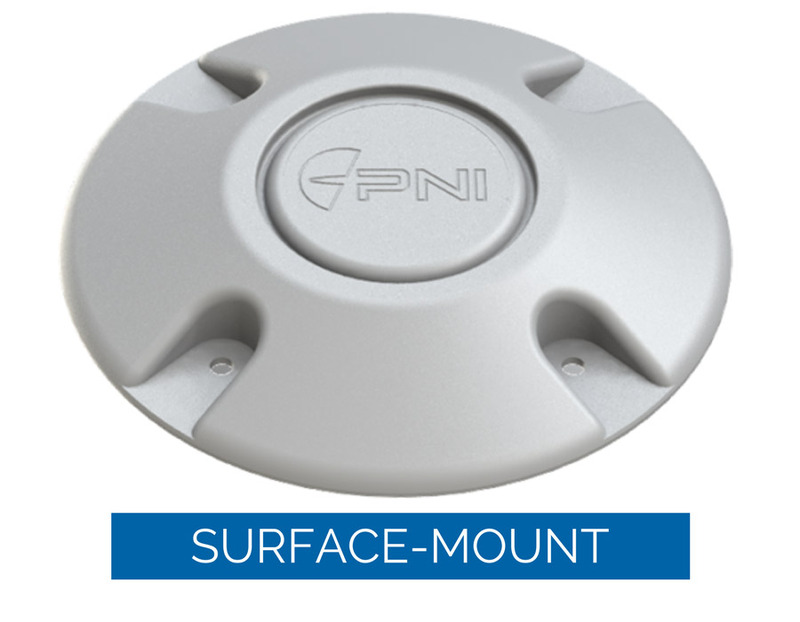 Unlike other magnetic sensor-based parking sensors, PlacePod accurately detects parking events in dense urban environments and filters out electromagnetic interference or “noise” such as direct current from overhead power lines, interference from underground trains, or transient magnetic signatures from passing traffic, which can trigger false parking events. The sensors and algorithms are optimized for always-on, highly-accurate vehicle detection while maintaining ultra-low-power operation. Other parking sensors manage power consumption by putting the parking sensor into “sleep mode” during which they are unable to detect the presence or absence of a vehicle.